In February 2015, Twitter made a bold move by purchasing a live video streaming mobile app called Periscope. Twitter launched the app in late March, and it’s been hot, hot, hot ever since. It’s still a fairly new tool, which lends quite a bit to its hotness, and it’s an excellent way to gain more exposure for your brand. Fresh out of the gate, Periscope had a cool million users just 10 days post launch. By August, it boasted 10 million active users. And guess what else? It’s still growing. Periscope allows you to use your mobile device to do something fabulous—broadcast live. This means you can allow your audience to join your broadcast, tuning in to your live streaming video and audio from virtually anywhere. 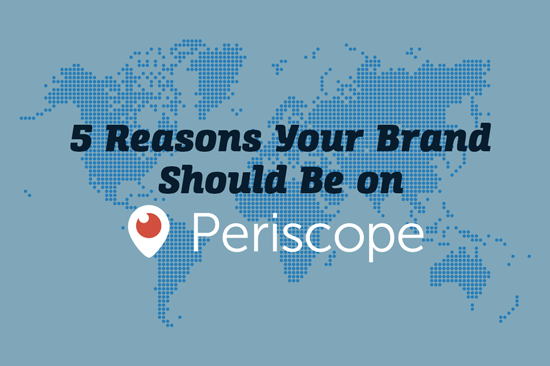 And with Periscope, you aren’t limited to just seconds in which to get your message across. You can not only say everything you need to say, but also give your audience a much better experience. Your audience can view your broadcast message the moment you make it and up to 24 hours later, replaying it and commenting as often as desired. It’s real-time marketing at its best. And as if that’s not enough, you also get access to all kinds of useful data, providing insight into such things as how many viewers watched your broadcast and for how long. You’ve probably heard a great deal about FaceTime, and maybe you’ve even used it to communicate one-on-one with your friends and family members. 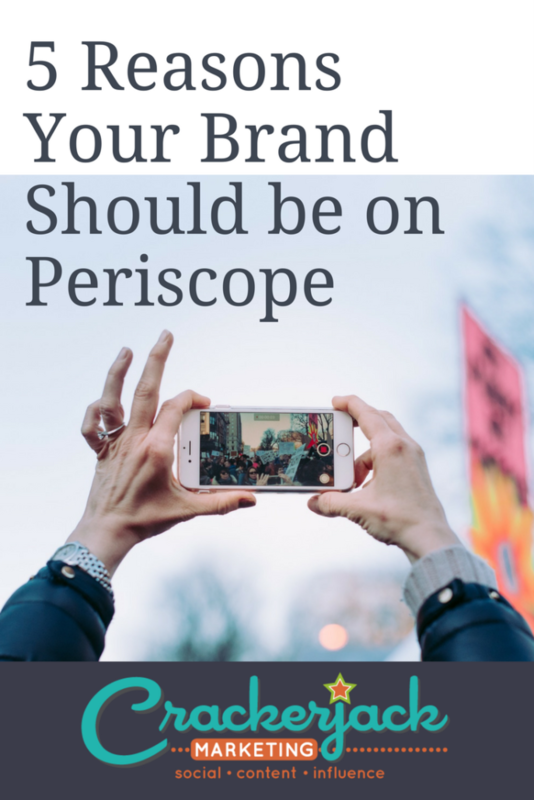 Periscope allows you to communicate directly with a potentially huge audience. It’s taken an intimate type of communication and transformed it so you can communicate with everyone. Social media is a critical part of any marketing plan. With nearly 80 percent of Internet users considering social media content when making purchasing decisions, your brand needs to be where your audience gets social. Periscope provides yet another social avenue for reaching your audience and not only makes social sharing through Twitter simple and easy but also helps stimulate discussions and encourage feedback. It even includes location and notification features. You know the deal. If a large percentage of your audience is on a particular social media platform, you want to be there too. If your audience goes looking and only finds your competition, don’t expect that to help your bottom line. In fact, Periscope could even provide access to a demographic you haven’t reached before. Keep in mind, too, that Periscope is a new, innovative tool. Those who aren’t there now will likely use it later as more and more people learn what it can do and how to use it. As a brand, you have to keep up with marketing trends in order to effectively reach your audience. By doing so, you demonstrate that you care about communicating with your audience while dramatically increasing your exposure. Periscope is a fantastic way to do just that.